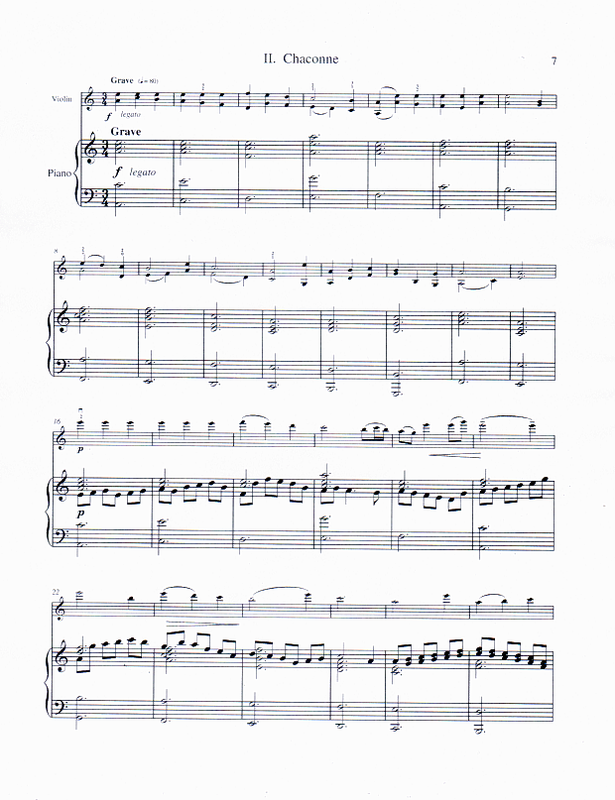 Sonatina No 1. 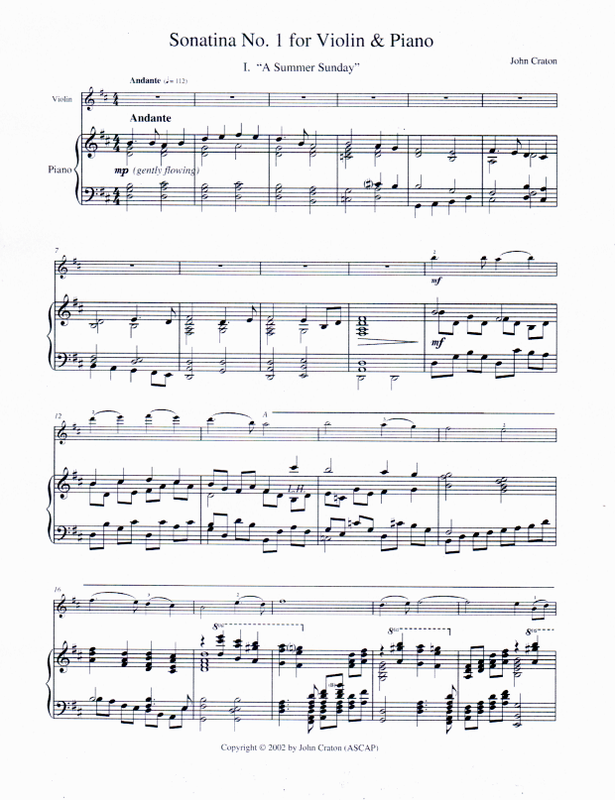 A three-movement work for violin and piano: Andante—Allegro assai—Andante (A Summer Sunday); Grave (Chaconne); Allegro (The Armadillo Races at Victoria, Texas). Originally composed for saxophone and piano in 1998, the work was premiered by Lester Turner, saxophone, and John Tabler, piano, in 2001 at St. Johns Museum of Art in Wilmington, North Carolina. 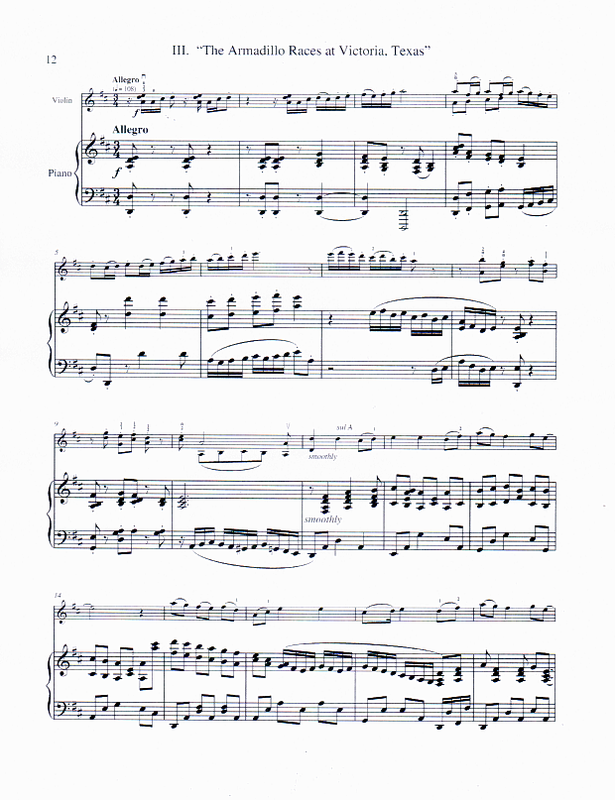 The sonatina was rescored for violin and piano in 2001 at the behest of violinist Lynne Ludeke.